I have had the good fortune of knowing Erick Tsiknopoulos since 2010. I first encountered him on the internet through his excellent website of Tibetan Buddhist translations, Sugatagarbha Translations. I was deeply impressed with his obviously high level of skill in both Tibetan language and Tibetan to English translation, as well as his knowledge of Buddhism. I was also moved that he offered all of his translations for free. I developed a friendship and partnership with him that continues to this day. I have always supported his altruistic translation projects, and over the years I have tried to help him as I am able. In 2011, I had the opportunity to meet him in person in Kathmandu, where he served as an oral translator for me and my colleagues at Namo Buddha and Pharping, and he was very helpful to us on our spiritual journey into the most holy Tibetan Buddhist sites in Nepal. He has also translated several letters to Tibetan lamas from English into Tibetan for me, and he worked as the main English editor and proofreader for the English edition of my company’s official magazine, 96 Street Magazine, for over a year and half, from 2011 to 2012. His translation abilities are beyond doubt, and his talent and proficiency in both English and Tibetan is inspiring. Moreover, his understanding of Buddhism is highly unusual for someone of his age, and it is obvious that he has been constantly furthering his Buddhist studies for quite a long time. I have always admired his sincere commitment to the intensive study of Tibetan Buddhism and language in India, and his unique dedication to the field of translation. He has studied with many great Buddhist teachers for many years in both America and India, and through this he has truly gained a deep familiarity with a broad spectrum of the Buddhist teachings. For myself, as a long-time student and supporter of Buddhism in both the Chinese and Tibetan traditions, and someone who has visited India and Nepal on numerous occasions, I can appreciate the diligence and patience that is required for the kind of study that Erick has accomplished. It is very difficult and requires a great deal of courage and devotion. Erick has served as an encouragement for me in my own Dharma studies and practice, and therefore I have always given him my full support and recommendation. I believe that he is and will continue to be of great benefit to Buddhism and the world. 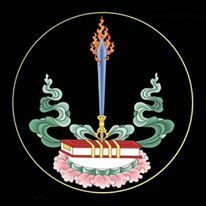 I, the one by the name of Lobzang Gyamtso, a Dharma teacher for the Institute for Service to the Buddhist Teachings [Nangten Sizhu Khang], address you with respect. My name is Lobzang Gyamtso, and my home country is in the region of southern Amdo in the snowy land of Tibet. In both Tibet and India, over the course of eighteen years I completed my studies of four major textual subjects of the Buddhadharma [namely, Buddhist logic and epistemology (Tibetan: tshad ma, Sanskrit: pramāṇa) based on Dharmakīrti’s Compendium of Valid Cognition (Tib. tshad ma rnam ‘grel, Skt. pramāṇavārttikakārika), Perfection of Wisdom literature (T. phar phyin/shes rab kyi pha rol tu phyin pa, S. prajñāpāramitā) based on Asaṅga and Maitreya’s Ornament of Clear Realization (T. mngon rtogs rgyan, S. abhisamayālaṅkāra), Abhidharma (T. mngon pa, S. abhidharma) based on Vasubandhu’s Treasury of Abhidharma (T. mngon pa mdzod, S. abhidharmakośa), and Middle Way ontology (T. dbu ma, S. madhyamaka) based on the works of Nāgārjuna and Candrakīrti. I have also studied the five minor Tibetan arts and sciences (poetry, etymological and synonym studies, writing and composition, astrology, and drama), Chinese language, English language, mathematics, geography, and natural science. In both Tibet and India, I have worked as a teacher for seven years and as a physician for five years. Recently I have been working for about two years as a Dharma teacher for students from ten different countries at the Esukhia Institute for Service to the Buddhist Teachings (Nangten S’izhu Khang) in Dharamsala, Northern India. I am also currently working as an author, physician, translator, and online writer and editor. Now, to elaborate on the subject at hand, my student, the young American scholar known as Erick (Tsiknopoulos): He is of good and kind character; and is an intellectual of broad understanding and discernment. He has studied the Sanskrit, Pāli, Japanese, Hindi, Russian and Spanish languages in addition to Tibetan and his native language of English. He has a good knowledge of Sanskrit Buddhist terminology; and in Japan he attained a high level of ability in Japanese language. For over ten years (c. 2013), he has studied a great deal of the Mahāyāna and Secret Mantra (Vajrayāna) Dharma teachings of the Nyingma tradition in America and India, with many great Buddhist teachers; as well as the teachings of the other three main Tibetan Buddhist traditions. He has attended and studied many teachings on Mind Training, Emptiness, Madhyamaka, Tantra, and various other important Buddhist topics. His level of aptitude in literary and classical Tibetan language is immense; and his spoken Tibetan language and powers of expression are excellent. In particular, he has trained and continues to train in a profound and deep research of the Buddhist teachings. He is a resourceful young man of strong intelligence; who holds an aspiration to spread and promulgate Buddhism in a far-reaching way. And he is someone who has vast future ambitions to accomplish great service for the Buddhist teachings in their entirety; due to the fact that he has the aim of helping to establish peace and happiness in the world. On the third day of Joy during the virtuous period of the waxing moon in the month of Saga Dawa [the eleventh day of the fourth month of Vesak] in the Tibetan Water Snake Year, this was written at the Institute for Service to the Buddhist Teachings [Nangten Sizhu Khang] in Dharamsala, Himachal [Pradesh], India. Erick and I have been working together for the last two years on a translation project where I have served as the main organizer of the project, and he has worked as the head translator. 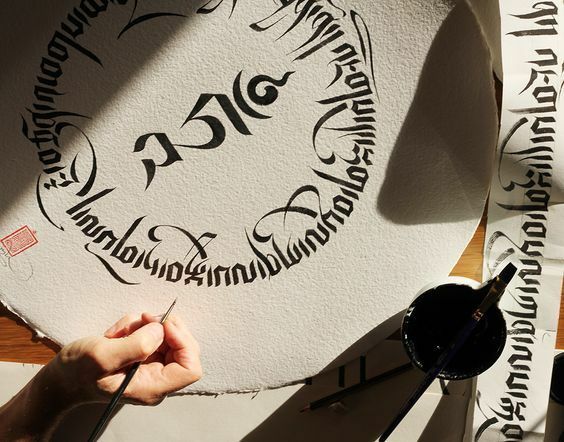 Erick has been translating the Yutok Nyingtik (g.yu thog snying thig) under the auspices and with the help of Dr. Nida Chenagtsang, a preeminent scholar and instructor of Tibetan medicine. Erick was recommended to me by Dr. Frances Garret, University of Toronto, for his extremely high level of Tibetan language skills and impressive ability in translating classical Tibetan. We both believe that he is one of the best Tibetan-English translators of the younger generation working today. The Yutok Nyingtik or ‘Heart Sphere Yutok’ is a uniquely difficult text to translate; in that it is simultaneously a medical text and a complete Vajrayāna cycle. As such, the textual material has a vast array of terminology and literary styles, with subjects ranging from specific herbs and Tibetan medicinal practices, detailed historical documents, prayers and rituals, philosophical expositions and practice manuals, to Vajrayana practices including sngon ‘gro, bla ma’i rnal ‘byor, shin tu rnal ‘byor, phyag rgya chen po, sman sgrub, bskyed rim, and rdzogs rim. The language and subject matter of the text is often quite esoteric, archaic, poetic, and condensed. Erick’s eloquent work on this challenging text is a testament to his extensive knowledge of Buddhism and Tibetan language. Erick has been a dedicated student of Buddhism since 1999. Since 2007, he has been living in India studying Tibetan language and Tibetan Buddhism. In both America and India, he has studied with several Buddhist master scholars, and in India he has been deeply immersed in Buddhist philosophy, Tibetan literature, and Tibetan Buddhist practices, through private and public classes at many highly-regarded Buddhist institutions. He currently studies Buddhist philosophy at Namgyal Monastery (His Holiness the Dalai Lama’s main monastery), the Institute of Buddhist Dialectics, and the Esukhia Institute for Service to the Buddhist Teachings. Furthermore, he serves as the main oral translator for Geshe Lobsang Chögyel Rinpoche’s regular Dharma teachings in McLeod Ganj, Dharamsala, India. Erick has been diligent, articulate and forthright in his work – important skills in a translator. I strongly recommend him for all future translation and educational endeavors. It is our pleasure to write a letter of recommendation for Erick Tsiknopoulos. During his tenure as an Esukhia student, Erick has proven himself to be an avid and exceptional student with a prodigious curiosity in the Tibetan Buddhist tradition and its textual heritage. He is continually striving to improve his knowledge of the Tibetan language, both spoken and literary, as evidenced by his continuing collaborative relationship with the staff members at our organization, who are excellent scholars in their own right. We believe Erick has great potential in his future as a translator, having spent his time training in India since 2007, essentially following in the footsteps of the great lotsawas (Tibetan translators) of the past, who would spend 20 years training to work in collaboration with Indian masters for the sake of translation. We therefore wholeheartedly endorse him and wish him continued success in all his academic and educational pursuits.